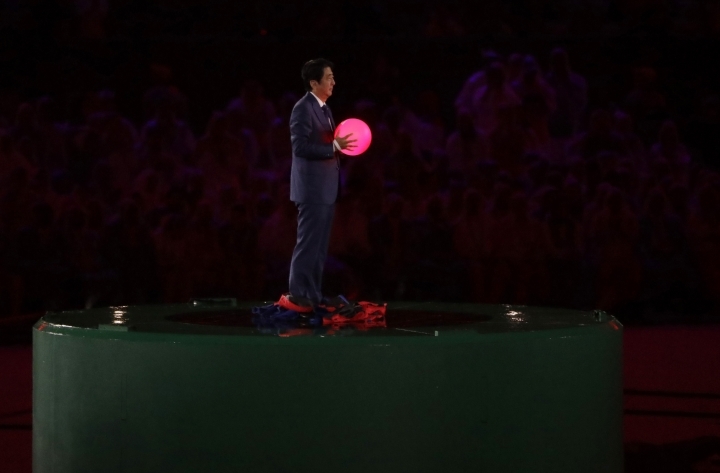 TOKYO — Japanese Prime Minister Shinzo Abe's brief but showstopping gig at the Olympics closing ceremony as the Nintendo game character Super Mario offered a tantalizing glimpse at Tokyo's plans for the 2020 games. 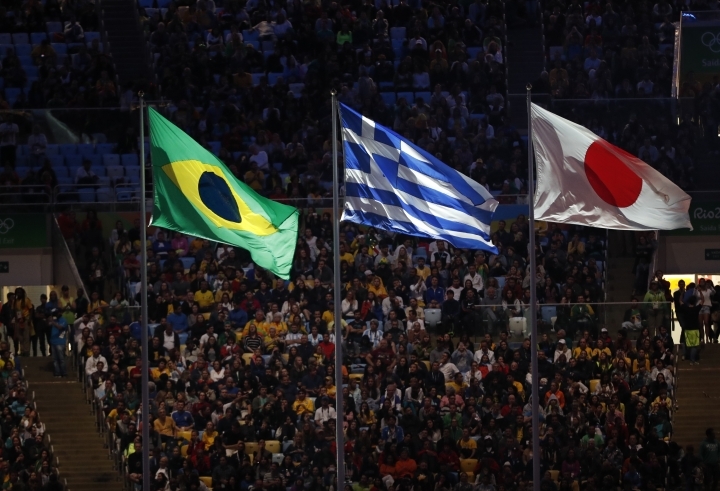 The organizers for the Tokyo games crammed the works into a brief two-minute film montage before Abe's appearance: athletes participating in more than a dozen sports, as iconic Japanese images like Tokyo Tower, cherry blossoms, a bullet train, Tokyo Bay Bridge and the famous "scramble" intersection in Shibuya whiz by. Anime and video game characters including Pac Man and Hello Kitty are featured, along with the beloved blue Doraemon cat, who pulls from his pocket of magic gadgets a green warp pipe to whisk Abe, transformed briefly into Super Mario, from his limousine in Tokyo straight to Rio. 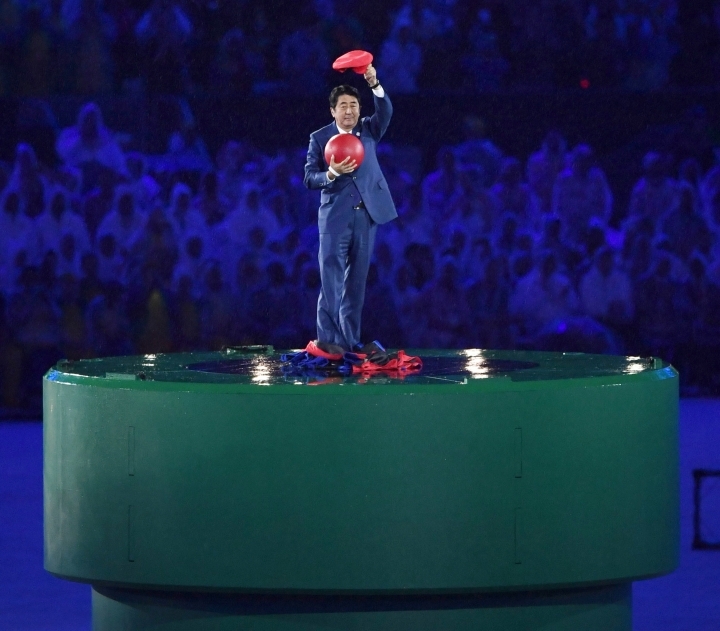 Abe emerges atop the "pipe" in a big red Super Mario cap and costume, holding a glowing red ball kicked to him by famed manga soccer star Captain Tsubasa. 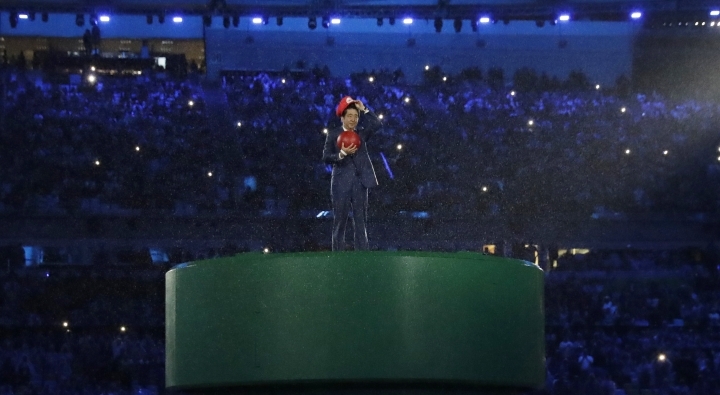 Tokyo 2020 organizers said in a statement that the Super Mario idea came up during a brainstorming session. 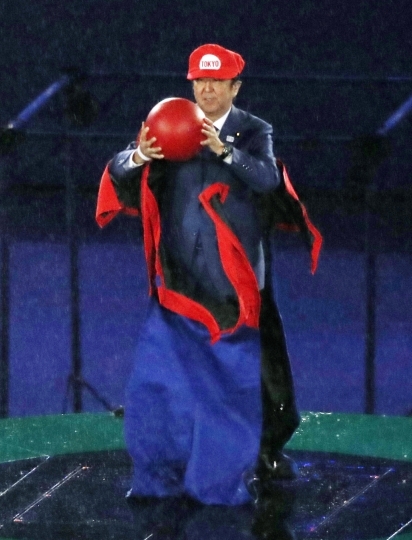 Staff at Nintendo would say only that the government asked to borrow the character for the show. 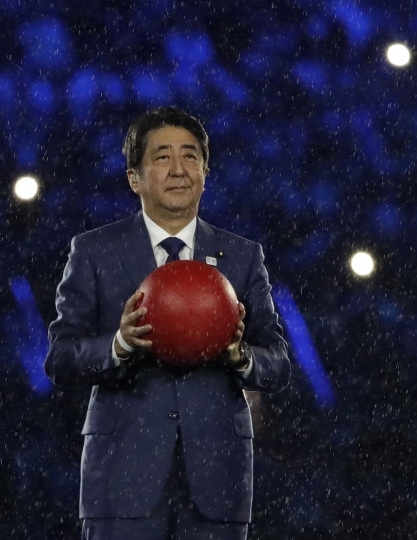 At least on Twitter, Abe pretty much upstaged other highlights of the Olympics finale. 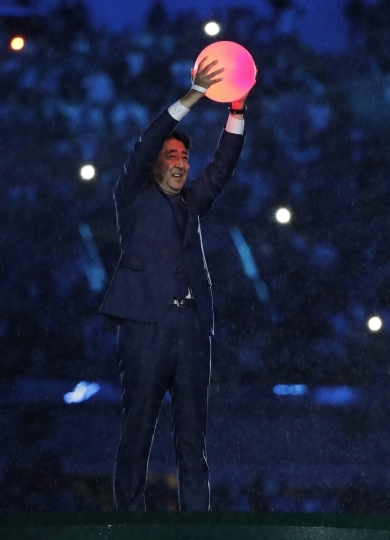 Even China's Communist Party newspaper People's Daily, not generally a fan of the hawkish Japanese politician, put out a tweet, though without any comment: "#Japanese PM Shinzo Abe appears from imaginary tunnel, disguised as #SuperMario". 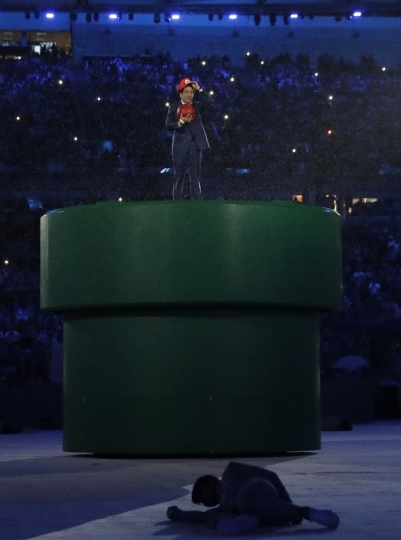 Abe, who emerged from the Super Mario outfit in his usual get-up of a smartly tailored suit and tie, was getting mostly favorable commentary on his impersonation of the game character. 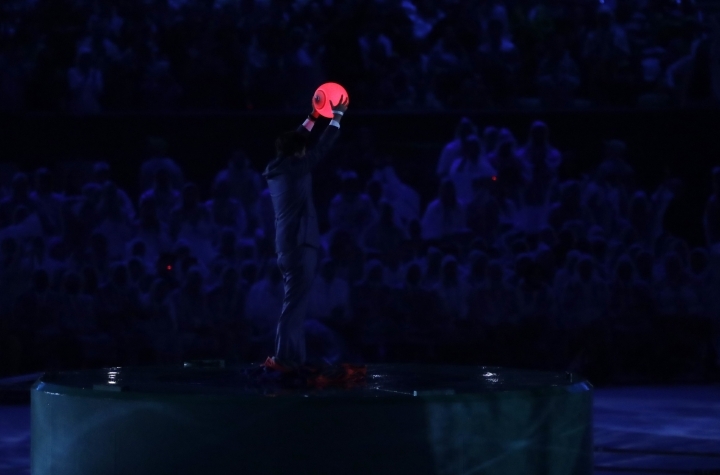 As they gear up for the 2020 games, the organizers appear to have achieved what they were striving for: "Cool!" ''OMG" and "I want to go to Tokyo!" were among various comments on Twitter. This story has been corrected to show that Abe was not the originator of the Super Mario idea. Copyright © 2015 - 2019 Entertainment - Asean Coverage. All Rights Reserved.